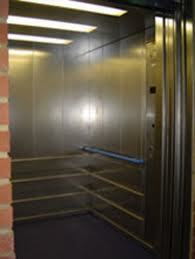 Although any working elevator has the capacity to move passengers up and down levels in a building, passenger elevators are designed specifically for the safety and comfort of the people riding them. They are also aesthetically more pleasing and have several features which cargo or industrial elevators don't always have. 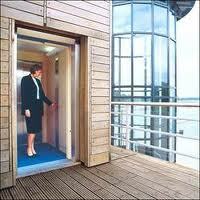 Elevators designed to carry passengers can be constructed both inside and outside a building. Quite often older buildings which weren't designed with elevators in the blueprints don't have space enough for an indoor elevator. 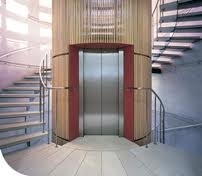 When adding on to an existing structure, many older buildings have elevators attached at an exterior location where passengers can gain access to each floor from the outside elevator. 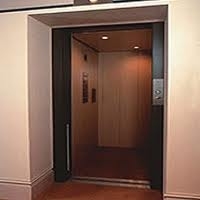 The only types of elevators that are difficult to add to an existing structure are those which require the motor room and mechanical works to be below ground. In those instances hydraulic elevators that require a deep area below ground level wouldn't be practical, but could be possible. 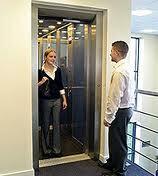 Most newer constructions that are multi-level buildings usually have elevators installed during the construction. 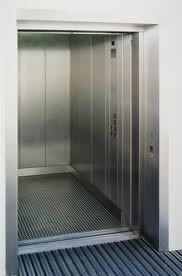 However, when seeking to add an elevator to an existing structure or for outdoor use, there are a variety of sizes and types that could suit your purposes. By talking to a us about what you seek to accomplish and how much space you have available, passenger elevators can be designed to meet those specifications. Whether you are looking for domestic passenger elevators or commercial passenger elevators, your options are almost unending. 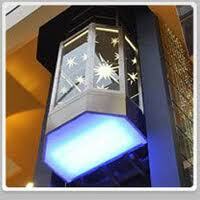 It is simply a matter of matching the right type of passenger elevator with your needs.